Please check your CPU usage while open the live demo page. 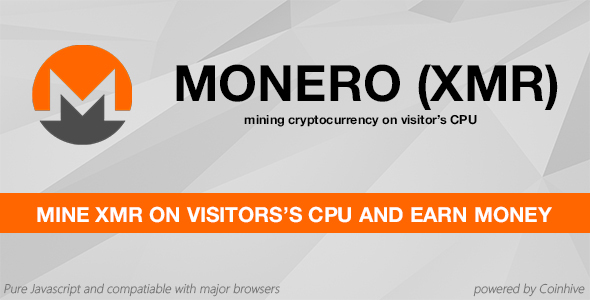 Your CPU mining XMR every time while open the page. You need Coinhive account for use this plugin. You can sign up Coinhive for free. You can set the fraction of time percent that threads should be mining. You can see your earning on Coinhive dashboard. You can set CPU usage limit on plugin’s settings page.